There are different types of sedations. Each medical procedure requires specific sedation protocols. We provide our patients with general anesthesia because it is the most adapted one to dentistry. Although anesthesia has improved, Helvetic Dental Clinics in Budapest welcomes and treats many patients who suffer from what is commonly known as “dental phobia”. 25% of dental phobia comes from traumatic childhood experiences during dental treatments. Yet the remaining 75% of the cases has no origin. Dental phobia is a simple fear deeply ingrained in the subconscious and unreal, like the fear of spiders or mice. Always listening and responding to our patients needs and concerns, Helvetic Clinics offer two solutions for patients suffering from dental phobia: dental sedation or pain free anesthesia. There are different types of sedations and each medical procedure requires specific sedation protocols. 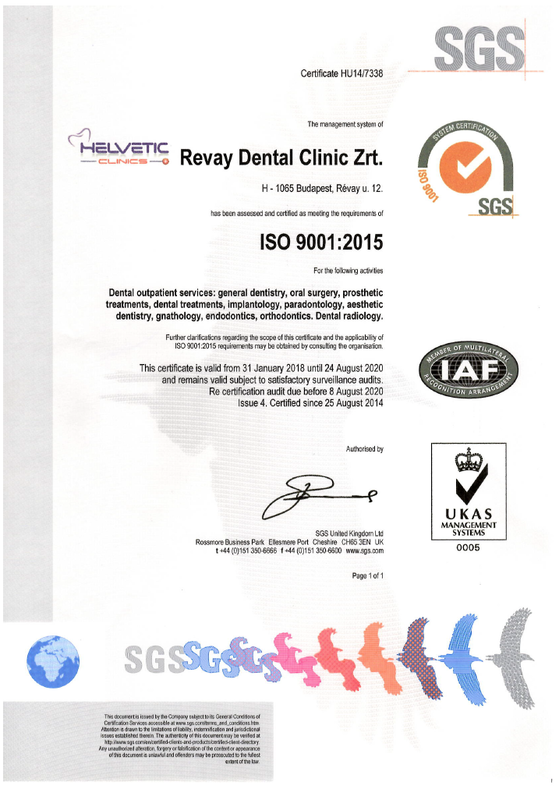 We provide our patients with semi-conscious sedation because it is the most adapted one to dentistry and dental phobia. 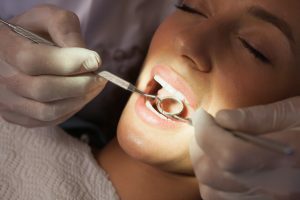 What is semi-conscious dental sedation? Under general anesthesia the patient has no awareness of reality, although they remain in a level of sedation that does not exceed the “sleeping” state as opposed to a “comatose” state. 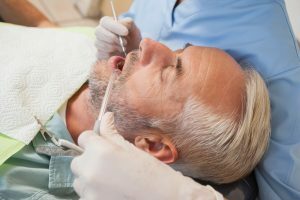 This type of sedation is especially suitable for all kinds of dental surgery, from the simplest to the most complex ones. Even though general anesthesia can be performed at a dental clinic, a specialist, an anesthesiologist, needs to be present. In our protocol, the patient is immersed in a deep sleep. This deep sleep is a kind of “chemical hypnosis” that completely disconnects the patient from reality during the treatment. The patient’s state of consciousness is equivalent to being under general anesthesia. The most significant advantage of intravenous general anesthesia is that the anesthesiologist can give the patient an extra dose of sleeping aid if they are not sleepy enough, and it works instantaneously. This kind of injection is much more effective than medication taken orally. This means that the anesthesiologist can control the amount of sedation, making the person’s deep sleep a pleasant one. This protocol can be repeated as many times as necessary without risk, as this practice is inducing sleep and not a coma state. This means that a session can be administered every day, for several hours, if necessary. This type of sedation is performed intravenously. In dentistry, the sedatives come from the benzodiazepine family. It is an active ingredient, which is found in many tranquilizers and also used for anxiety, insomnia, epilepsy and convulsions. Oxygen supply is provided through intubation. When is it possible to opt for our general anesthesia? Prior to undergoing a procedure with intravenous sedation, you need to inform us about any allergies or medical conditions you may have, as well as any medications that you are taking. You need to arrive on a Wednesday in order to go through pre-operative blood tests at a laboratory close to the clinic. Semi-conscious sedation takes place on Thursdays. You will usually be kept for observation, for one to two hours after the procedure. There needs to be an accompanying person sleeping in the same room with you the night after the intervention. If you are alone, we can provide a nurse to monitor you for the night. On the next day, Friday, you will have a check-up appointment to make sure that you can safely go home. Dental phobia is the principal preventing patients from going to their dentist. Local anesthesia is used to reduce or even eliminate pain during dental treatments. The real problem is that it is the injection of the anesthetic itself that often causes the pain. Since dental treatments may be painful, a local anesthetic is necessary to reduce pain during such treatments. However, paradoxically, patients are often more afraid of the pain caused by anesthetic injections than the actual pain of the dental treatment. What may be the reason for this? Firstly, because anesthetics are effective nowadays for painless interventions. Secondly, because a good dentist is always listening to the patient in case it is necessary to increase the dose or if the effects of the anesthetics begin to wear off. Despite careful dental anesthetic procedures, and pre-anesthesia by an anesthetic gel before the injection, the pressure of the anesthetic solution still causes some pain. 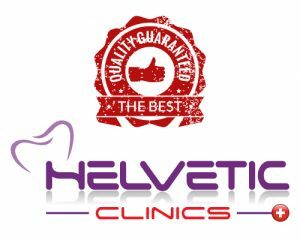 Helvetic Dental Clinics Budapest is committed to treat you without any pain. Thus, we chose computer controlled local anesthetic administration to reduce or eliminate pain during local anesthesia. 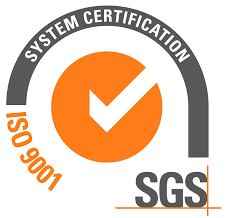 It is a device that controls products using a computerized device to control the injection speed. 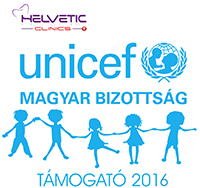 After having tested various painless injection systems for a long time, Helvetic Dental Clinics Budapest chose Syringe injection machine from Genoss. 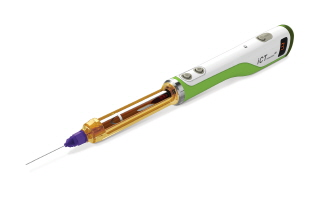 The Syringes developed by Genoss enables oral anesthesia by injection without suffering. The company, founded in 2004, has developed this new Syringe which supports the dentist to automatically and painlessly inject the anesthetic substance into a particularly hard tissues of the gum. 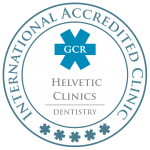 Painless anesthesia or semi-conscious sedation, Helvetic Dental Clinics Budapest takes care of patients with dental and dentist phobia. Less stress, less pain. 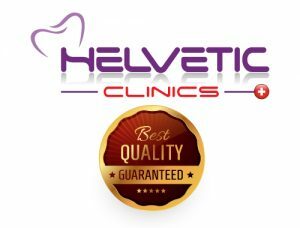 Helvetic Dental Clinics without pain, because you deserve the best!